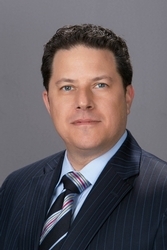 PRINCETON, N.J., FEBRUARY 11, 2019—Hill Wallack LLP is pleased to announce the arrival of Jason Lee DeFrancesco as a partner in the firm’s Intellectual Property and Corporate Departments. DeFrancesco, who headed the patent counsel practice at his previous firm, Baker and Rannells, PA, and formerly served as a General Counsel for an international welding company, will continue on matters related to Intellectual Property law, and will be based in the Princeton office. His practice is both national and international, with focus on food, alcohol, medical, retail fashion, chemicals and mechanical arts. DeFrancesco was General Counsel at American Torch Tip Co. from 2010 to 2012, and in that role oversaw patent litigation, prosecution and licensing, among other matters. He also served as outside counsel to one of the world’s largest scientific-industrial manufacturers, prosecuting chemical and electro-mechanical patent applications related to turbine engines. DeFrancesco earned his J.D. from Albany Law School in 2003, and during his time there he was in extern under Administrative Judge, James Housel, at the U.S. Patent and Trademark Office. He was a patent-tax legal intern at Rensselaer Polytechnic Institute, and spent a semester studying international IP law in Europe. DeFrancesco earned an M.S. in Physical Chemistry at Georgia Institute of Technology in 1999, and a B.S. in Chemistry at Florida State University in 1997. He is admitted to practice in New Jersey, New York, Florida, Washington, D.C., the Ninth Circuit, the Third Circuit and before the United States Patent and Trademark Office. He is a member of the International Trademark Association, American Intellectual Property Law Association, the American Bar Association section on Intellectual Property law and an observer with the Asian Patent Attorneys Association. The Intellectual Property practice group at Hill Wallack offers a full line of intellectual property services. Several of its attorneys have more than 20 years of experience, and the group offers assistance with obtaining and protecting rights in patent, trademark, copyright, trade secret, trade dress, and domain rights. The group serves clients in such industries as: Automotive; Banking; Chemical; Computers; Dental and Medical Devices; Mechanical Goods; Packaging; Pharmaceuticals; Power Generation and Distribution; Rail Systems; Steel Manufacturing; and thermoplastic structures, among many others.